I hate making plans. 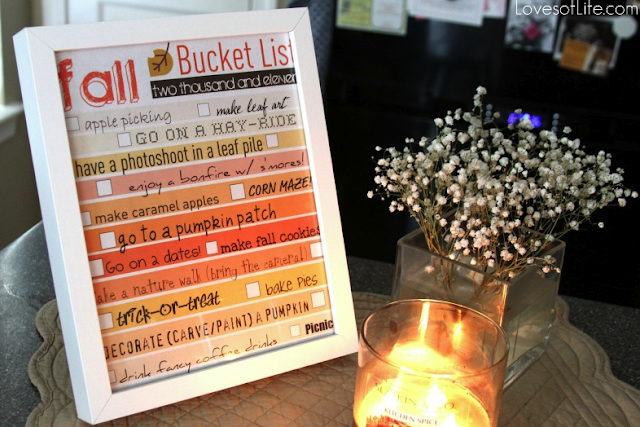 Check that, I hate trying to decide what to do, love making plans but hate having to come up with them so when I read a fellow bloggers post about a Fall Bucket List, I was on cloud nine! Whoa, Wait! Lets back up for one quick second though and let me explain why I blog and what types of blogs I follow. I blog for one reason, to help capture all those special, everyday moments we create with Kaden and Logan. This blog is kind of like my scrapbook/diary for them and hopefully one day, they will appreciate all the time I spent creating it. If this blog is read by no one, doesn't change a thing for me. If this blog is read by thousands, great-I hope you enjoy the little glimpses into our everyday world. Now, for the blogs I follow. I follow different blogs for different reasons. Some blogs that I follow are close friends, old friends, or new friends and often we have one thing in common, we are all moms but for these blogs, I KNOW the blogger. I also follow a few blogs such as Erin at Blue Eyed Bride who I have never personally met or spoken to, just a blimp on her big blogging world. Erin and I have a lot in common, we both have 2 boys, both of whom are almost the exact same age to the day and I love hearing what she is going through and comparing it to what we are going through. It is strange how in sync our lives are-I know I sound like a HUGE stalker. Another one of my favorites is Katie at Bower Power, she is a mom to a little boy, a DIYer and great at it. She loves to shop the thrift stores and turn someones want nots into super cute home decor. She also started a photography business not too long ago and this got me to thinking and why I just dove in head first with Oliver Beckett Photography. Again, I don't know Katie, never even spoke to her, just a blimp on her radar and yes, another prey of mine. The blogging community is amazing and can provide so many clever and wonderful ideas for you and your family and that is why I keep stalking my favorite bloggers. So back to the reason for my initial post-Fall Bucket List Two Thousand and Eleven. The other day on Blue Eyed Bride, Erin posted a link to a blog that she follows. This Katie (not the same one from above but a different one) created this wonderful Fall Bucket List and offered it up to anyone who wanted to print it out. Just click on her blog and read all about it. Print it off, frame it and join me (along with Katie and thousands of others) in checking off our Fall Bucket List Two Thousand and Eleven. Enjoy! 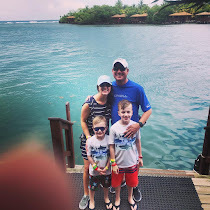 *Okay so this post had little to do with my kiddos, except for how I have filled the calendar with all sorts of fun ideas and adventures for our family. Plus, next season, I will know exactly where to look for our next bucket list and our next set of adventures. Who knows, maybe I will have a few ideas of my own!